Best Radar Apps for Ballfields Groundskeepers ! As the baseball and softball season openers spread northward across the U.S., the eyes of groundskeepers look skyward, constantly scanning the horizon for the next chance of precipitation that will interfere with games on their fields or the maintenance work planned for those fields. Like farmers, groundskeeper’s lives during the growing season revolve around the weather. Back when I started working in Major League Baseball in 1985, we didn’t have the internet or cell phones. When we needed radar information, we had to call the local weather service office at Baltimore-Washington International Airport and have the meteorologist there describe what he saw on radar. By the early 90’s we started getting live radar in our office at Oriole Park. As they say,”A picture is worth a thousand words.” By seeing the radar, we could make much better predictions as to what might happen in the next 2 to 3 hours. Jump forward two decades to the present. Almost everyone owns a smart phone with the ability to house powerful applications or “Apps” to distribute weather information. In today’s blog I want to focus in on one type of weather app, those that provide live radar information. 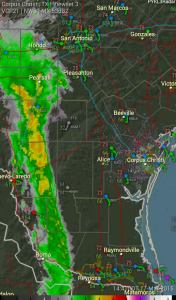 One rule to know is that if you want accurate radar information, you want to view radar images from a single radar site. Apps that use radar images that are a composite or mosaic of several radar sites to cover a region will suffer from a computer “smoothing” the lines of the precip as it pieces the puzzle of the multiple radar sites together. Smoothing can make pinpoint radar information less accurate. In order to really see where it is or isn’t raining when pinpoint accuracy is important, you want to look at the individual site raw radar data. There are two radar apps that rule over the rest of the world in my opinion. Which of the two you choose will depend on the operating platform that your phone uses, the iOS or the Android. 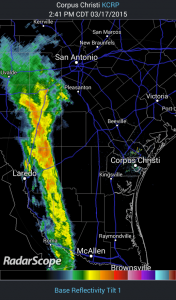 For the Android, the best radar app on the market, hands down, is the PYKL3 radar app. The full blown app cost $9.99 but is worth every penny. There is a Lite version available for $1.99 that may well offer all you need for your radar information. Check their website, www.pykle3radar.com , for a side-by-side comparison of the two versions to see what each offers. It was created with the storm chaser in mind so there is a myriad of weather information available on this app besides the basic radar pictures. PYKL3 has a vast amount of customization available to the user for the display easily making it the most flexible weather radar app out there. The amount of zoom is helpful getting down to street level. I use this app extensively during the Little League season for monitoring storms as they approach our 3-field complex where we must decide when and if to suspend games or clear the property if the storm looks particularly dangerous. GPS on your phone will plot your location on the radar screen which comes in handy for me to see exactly where our Little League complex was on the radar base map. Last June, using my PYKL3 radar app, I watched as a thunderstorm dropped a tornado down just a mile or two west of my home. I could see the tornado on my PYKL3 app as the storm passed right over me. Fortunately the tornado had lifted by that time. You could see the hook echo beautifully on the radar’s base reflectivity screen and I monitored the rotation of the storm using the radial velocity readout from the Doppler radar site. This is a very powerful app that offers the full array of raw radar data, some of which you may never use. If that is the case, stick with the Lite version, you can always upgrade. The main base reflectivity (or precipitation) image will be all many of you will need. Makers of the PYKL3 App say they have no plans to make an iOS version. Sorry iPhone users, you really are missing out. A significant upgrade of PYKL3 is due out very soon. RadarScope is the radar app of choice for iOS managed phones, however it is also available on any android phone in the Google Play Store. This app sells for the same as the PYKL3 at $9.99 with a pro version available that requires a yearly subscription for an additional $9.99. The big advantage to the pro version, among other things, is the real-time plotting of lightning strikes overlaid on the radar map. You can get the lightning data on PYKL3 but it requires a subscription from a 3rd party. RadarScope’s $9.99 yearly subscription is a much more affordable option for the lightning information. RadarScope has much of the same raw weather radar data that PYKL3 has but the screen customization is much more restricted than the PYKL3 app. Additionally, zoom in detail is more limited but the app will plot your GPS location on the radar base map. RadarScope sacrifices the zoomed in road detail in order to make the app more easily usable in rural areas where lower bandwidth connections occur. While both radar apps provide the full spread of radar sites across the U.S., RadarScope takes it one step further and offers the user the opportunity to access all of the weather radar sites in Canada as well. 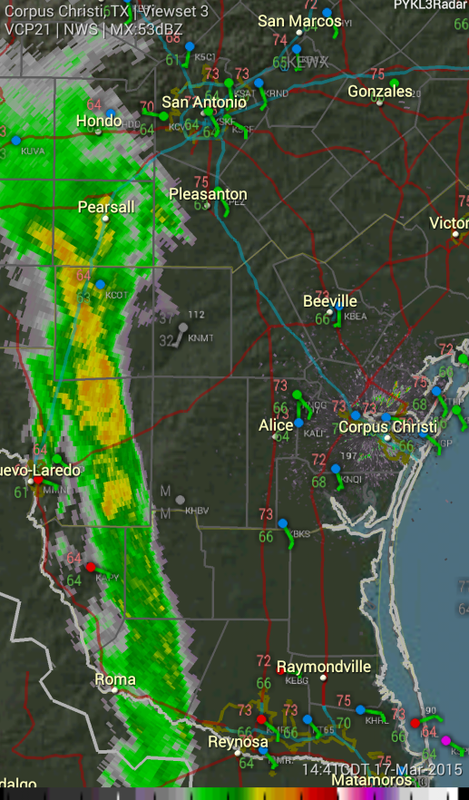 Radar screenshots taken at the same time and the same location on PYKL3radar on the left and RadarScope on the right. Sorry there weren’t more exciting storms to capture when I took these screenshots. As you can see, I have the hourly weather observations plotted on my PYKL3 map showing, temp, dew point, weather (rain, snow, fog, etc.) and flight visibility conditions. The bottom line on radar apps is that if you want the most accurate, pinpoint information, the free apps just aren’t going to cut it. PYKL3 & RadarScope are valuable tools to help ballfield groundskeepers stay on top of impending rainfall that may impact games or field work throughout the season. El Paso, TX. Far east sports park construction ahead of schedule ! EL PASO, Texas – Public Works Director Pat Adauto said Monday construction forof the new sports park is on budget and ahead of schedule. The new facility is taking shape on 80 acres near the intersection of Montwood and John Hayes streets. Adauto says Phase 1 of the construction includes setting up drainage, concrete and parking. “They’re not really going to see anything substantive until probably March because that’s when the fields will all be in. They’re doing window replacement at the concession area, so some of the walls and interior are stucco,” said Adauto. She explained some of the unexpected issues workers with contractor Jordan Foster have faced. “They found electrical wiring and electrical poles that had just been dug and left underneath the field,” Adauto said. El Pasoans could see the complex completed by end of April. Adauto said the expected completion, date is 120 days from Dec. 14, 2015, which makes the deadline April 12. “This is great news. I go by once in a while and see hard hats,” said county Commissioner Carl Leon. Adauto says the project costs $2.3 million. Keller and NBA star partner in Sports Park ! Keller, TX – The Keller Sports Park will be “revitalized and rebranded” with a partnership with a former NBA All-Star, according to the city. 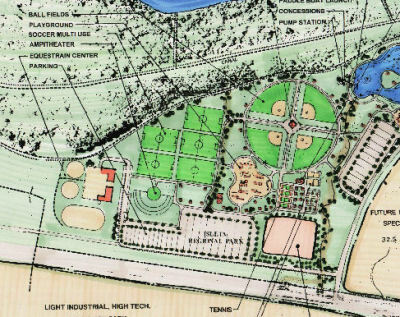 Last month, Keller City Council unanimously approved plans for a partnership with Jermaine O’Neal’s Drive Nation, a NCAA-sanctioned facility affiliated with Nike and the AAU, on about 10 acres along Golden Triangle Boulevard. Plans for the minimum 70,000-square-foot facility include six indoor basketball courts convertible to 10 volleyball courts; eight pro batting cages and pitching mounds; an indoor half-football field; 50-yard indoor track; a health-focused cafeteria; and fitness and conditioning areas stocked with top-of-the-line equipment and Athos training technology, according to a city news release. The project aims to be a top-notch training and tournament facility that offers great coaches, trainers, equipment and technology, the release says. 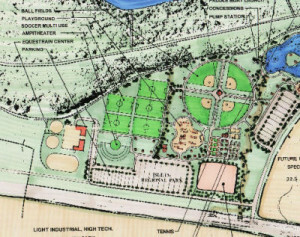 The project is expected to be complete by late summer or early fall, and will be located next to the Blue Sky Sports Center. Boston Suburb Bans Tackling in Youth Football Program ! Citing an increased risk of injury in tackle football and a decline in enrollment, the recreation department of a Boston suburb is switching its youth football program to a flag football program for grades one through eight. Somerville (Mass.) Recreation announced the change last week. The nine-week flag football program will begin in the summer of 2016 for four leagues in grades 1-2, 3-4, 5-6 and 7-8. The Somerville Youth Football program began in 2013. The Somerville Journal reported the league’s participation has declined by two-thirds, from 100 to about 35 this year. Lathan told the newspaper that parents had not pulled their children over concerns about concussions but the city was concerned about national trends in football injuries. The treasurer of Somerville Pop Warner, the city’s other youth football program, told the Journal that its enrollment grew by 50 kids last year to 300 overall. Beverly Schwartz said she doubts fears over concussions played a role in the city’s decision to switch to flag football. A group of parents are discussing the possibility of privately organizing Somerville’s American Youth Football League program. Lathan told the newspaper that that program would not be run by the recreation department but it would receive the same support and field times as other privately funded youth organizations in the city. Stuart Goldman is Contributor of Athletic Business. 3 Ways Technology Has Changed the Sports Industry ! While it is not always instantly apparent, the impact that technology has had on sports is vast. In recent years, technology has had a gigantic impact on almost every aspect of our society. The world has changed tremendously, and people are now about to gain information more quickly, communicate more directly and effectively, and grow ideas. Technology has impacted every corner of society and every industry–from healthcare, to government, education, business, and sports. While it is not always instantly apparent, the impact that technology has had on sports is vast. Many processes are now easier and quicker, and the industry has seen an increase in attention and revenue because of it. Here are three ways that technology has changed the sports industry. Because of improvements in technology, sports coverage is more extensive than ever before. Previously viewers had to select between on a few channels to catch the game–now there are a plethora of options. Coverage is available everywhere, all the time. Plus–coverage is now available live and full-replay. In recent history missing the big game meant having to wait until then following morning when you could read about the results in the newspaper, or hear them from your friends. Now, however, people are able to record, save, and replay any footage. The media channels that broadcast sporting events are now able to use technology to share information at a pace quicker than ever before. 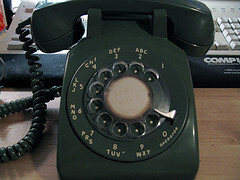 News and updates are send quickly to smart phones the moment the news occurs. In addition, social media is creating opportunities that never would have been considered possible. A few years ago, if you had suggested that you could “tweet” Lebron James and that he might “tweet” back , it would have sounded like nonsense. Twitter, Facebook, and other social media have provided access to an incredible platform for fans and athletes to connect. This connection raises fan enthusiasm and contribution to the sporting events. Instagram and other social media sites have connected the sports community. Fantasy sports are another new digital implementation to the sporting world. This is a fun way that fans are able to have yet another outlet to their favorite teams and players. Not too long ago, buying sports tickets was sometimes as hassle. If you had extra tickets or you wanted to buy some, your only option was scalping. Trading or otherwise obtaining tickets was a costly process that took time and was not very efficient. Now, however, sports fans are able to buy tickets online in a matter of minutes. New online platforms like Eventbrite have made it easy and convenient to check in and coordinate the entire ticketing process, which entices more people to attend sporting events. Other companies like Barry’s Tickets focus on getting cheaper tickets last minute, completely changing the “scalper” method of buying tickets outside stadiums. This has spiked growth across e-commerce, with websites like Facebook and Craigslist offering fans the chance to purchase and sell tickets without having to navigate through ticketing websites. Apps now offer ticket purchases, with ticketsnow and StubHub bringing ticket orders to the palm of people’s hands. For sports fans, making a last-minute decision to go to the game is now a reasonable possibility. Technology has entirely revolutionized the manner in which we are able to design apparel and equipment. From shoes and uniforms to gloves, helmets, and pads–sporting equipment is now more high-tech and high-functioning. The experience of going to a sporting event is very different, too. Scoreboards are now high-definition, fans have access to wireless internet, and recreational devices like batting cages and hitting machines have become more popular. The increase in technology has provided a convenient opportunity to athletes to be able to elevate their skill. 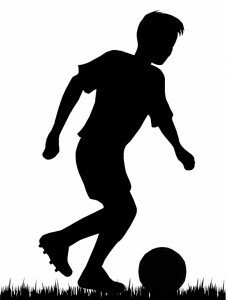 Teams now have the ability to view and analyze videos of themselves in action, and can learn to improve technique and form. These technologies assist athletes and coaches in viewing the plays and motions of the game. The same technology can be used to watch how the opposing team plays, too. One of the biggest improvements in sporting tech is smart helmets. With concussions damaging the sport, something had to be done to protect athletes. New helmet technology offers sensor and magnet tech built in, which is able to detect and disperse force, thus decreasing the changes of head injury. In fact, the magnets themselves play a role in displacing the force of impact. When an impact occurs, the helmet communicates to the coach that the player has been hit. This way, the coaches can take action immediately in completing concussion diagnoses. Tech isn’t just making sports better for the fans–it’s looking out for the wellbeing of the players.